The Dominion Lands Act (short title for An Act Respecting the Public Lands of the Dominion) (the Act) was an 1872 Canadian law that aimed to encourage the settlement of the Canadian Prairies and to help prevent the area being claimed by the United States. The Act was closely based on the United States Homestead Act, setting conditions in which the western lands could be settled and their natural resources developed. In 1871, the Government of Canada entered into Treaty 1 and Treaty 2 to obtain the consent of the indigenous nations from the territories set out respectively in each Treaty. The Treaties provided for the taking up of lands "for immigration and settlement". In order to settle the area, Canada invited mass emigration by European and American pioneers, and by settlers from eastern Canada. It echoed the American homestead system by offering ownership of 160 acres of land free (except for a small registration fee) to any man over 18 or any woman heading a household. They did not need to be British subjects, but had to live on the plot and improve it. The Act is controversial because the Canadian Government—established by Confederation only five years earlier—was extremely short on funds and never provided compensation to the indigenous nations[dubious – discuss] for the use of the lands which the Government had decided to give away for free. Unlike in eastern Canada, the federal government had assumed control over public lands and natural resources in most of western Canada. Its jurisdiction to do so is controversial with First Nations, who assert they were not only not compensated for their lands, but that only the lands taken up for immigration and settlement were covered in the Numbered Treaties, and that other lands and natural resources were not covered. The Act was applied to the province of Manitoba and to the Northwest Territories. Upon the creation of the provinces of Saskatchewan and Alberta from the Northwest Territories, the Act continued to apply to them. It was also extended to the Peace River Block of British Columbia. In 1930, the federal government agreed to transfer control over the public lands and natural resource to the prairie provinces by means of the Natural Resources Acts. From that point onwards, the Dominion Lands Act only applied in the North-West Territories. The Act gave a claimant 160 acres (65 ha) for free, the only cost to the farmer being a $10 administration fee. Any male farmer who was at least 21 years of age and agreed to cultivate at least 40 acres (16 ha) of the land and build a permanent dwelling on it (within three years) qualified. This condition of "proving up the homestead" was instituted to prevent speculators from gaining control of the land. The Act also launched the Dominion Lands Survey, which laid the framework for the layout of the Prairie provinces that continues to this day. An important difference between the Canadian and U.S. systems was that farmers under the Canadian system could buy a neighboring lot for an additional $10 registration fee, once they had made certain improvements to their original quarter-section. This allowed most farmsteads to quickly double in size, and was especially important in the southern Palliser's Triangle area of the prairies, which was very arid. There it was all but impossible to have a functional farm on only 160 acres (0.65 km2), but it could be managed with 320. Canadian agriculture was consequently more successful than U.S. agriculture in this arid region. Bloc settlements were encouraged by section 37 which allowed associations of 10 or more settlers to group their houses together to form a settlement to fulfil their cultivation obligations on their own homestead while residing in a hamlet. The success of the Dominion Lands Act overall is questionable. Large-scale immigration to the prairies did not get underway until 1896 (immigrants prior to then generally preferring to live in the U.S. due to a protracted recession in Canada that followed confederation)[dubious – discuss]. Also, the first version of the Act set up extensive exclusion zones. Claimants were limited to areas further than 20 miles (32 km) from any railway[dubious – discuss] (much of the land closer having been granted to the railways at the time of construction). Since it was extremely difficult to farm wheat profitably if you had to transport it over 20 miles (32 km) by wagon, this was a major discouragement. Farmers could buy land within the 20 mi (32 km) zone, but at a much higher price of $2.50 per acre ($6.20/ha). In 1879 the exclusion zone was shrunk to only 10 miles (16 km) from the tracks; and in 1882 it was finally eliminated. Less than half the arable land in the West was ever to open to farmers for homesteading under the Act. 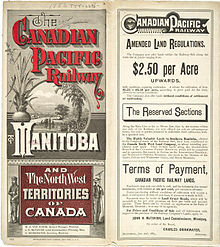 The Canadian Pacific Railway owned most of the rest[dubious – discuss], as part of its charter for building the transcontinental railway. 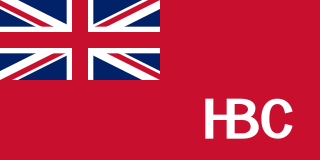 The Hudson's Bay Company, which had once owned the entire prairies, had kept 5 per cent of the land as part of the terms of the surrender of its charter. These two companies sold land to land companies and to farmers on the open market. Additional areas were set aside for schools and government buildings. Overall, about 478,000 square kilometres (118,000,000 acres) of land were given away by the government under the Act. Some historians argue that the Dominion Lands Act encouraged premature settlement of the West since many of the farms settled under the Act later failed. From 1930 onwards, the Act only applied to the public lands in the Northwest Territories. 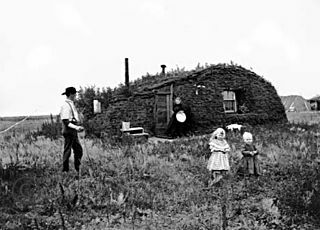 The homestead provisions of the Act, designed to encourage agricultural settlement on the prairies, had little application to the conditions in the Northwest Territories. Parliament repealed the Act in 1950, replacing it with the Territorial Lands Act, which was better adapted to the conditions in the Territories. The new Act did not contain any homesteading provisions. ^ a b c d "Dominion Lands Act | The Canadian Encyclopedia". 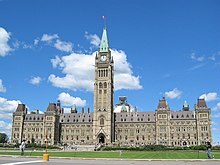 www.thecanadianencyclopedia.ca. Retrieved 2018-12-27. ^ An Act respecting the transfer of the Natural Resources of Alberta, S.C. 1930, c. 3. ^ An Act respecting the transfer of the Railway Belt and the Peace River Block, S.C, 1930, c. 37. ^ An Act respecting the transfer of the Natural Resources of Manitoba, S.C. 1930, c. 29. ^ An Act respecting the transfer of the Natural Resources of Saskatchewan, S.C. 1930, c. 41. ^ Dominion Lands Act, R.S.C. 1927, c. 113, s. 3. ^ Territorial Lands Act, S.C. 1950, c. 22, s. 26. The Homestead Acts were several laws in the United States by which an applicant could acquire ownership of government land or the public domain, typically called a homestead. In all, more than 160 million acres of public land, or nearly 10 percent of the total area of the United States, was given away free to 1.6 million homesteaders; most of the homesteads were west of the Mississippi River. Rupert's Land, or Prince Rupert's Land, was a territory in British North America comprising the Hudson Bay drainage basin, a territory in which a commercial monopoly was operated by the Hudson's Bay Company for 200 years from 1670 to 1870. The area once known as Rupert's Land is now mainly a part of Canada, but a small portion is now in the United States. It was named after Prince Rupert of the Rhine, a nephew of Charles I and the first Governor of the Hudson's Bay Company (HBC). In December 1821, the HBC monopoly was extended from Rupert's Land to the Pacific coast. Palliser's Triangle, or the Palliser Triangle, is a semi-arid steppe occupying a substantial portion of the Western Canadian Prairie Provinces, Saskatchewan, Alberta and Manitoba, within the Great Plains region. While initially determined to be unsuitable for crops outside of the fertile belt due to arid conditions and dry climate, expansionists questioned this assessment, leading to homesteading in the Triangle. Agriculture in the region has since suffered from frequent droughts and other such hindrances. The Minister of Crown–Indigenous Relations is one of two Cabinet ministers that administer Crown-Indigenous Relations and Northern Affairs Canada (CIRNAC), which is responsible for administering the Indian Act and other legislation dealing with "Indians and lands reserved for the Indians" under subsection 91(24) of the Constitution Act, 1867. The minister is also more broadly responsible for overall relations between the federal government and First Nations, Métis, and Inuit. The position was created alongside the Minister of Indigenous Services when Prime Minister Justin Trudeau announced on August 28, 2017 that the federal government intended to abolish the Indigenous and Northern Affairs Canada department. Métis in Alberta are Métis people, descendants of mixed First Nations/native Indian and white/European families, who live in the Canadian province of Alberta. The Métis are considered an aboriginal group under Canada's Constitution Act 1982 and make up a separate and distinct from the First Nations, and have different legal rights. In Alberta, unlike in the rest of Canada, Métis people have negotiated certain lands to be reserved for them, known today as the Eight Metis Settlements. These Metis Settlements Federated in 1975 to protect existing Metis Settlement lands following the Alberta Governments dissolution, by Order-In-Council of four Metis Settlements from 1950-1960. Following legal challenges by the Federation of Metis Settlements in 1975 for the lose of natural resource against Alberta, the Crown in Right of Alberta settled out of court for a suite of legislation that would see self-government, land, and money transferred to the newly formed government of the Metis Settlements General Council (MSGC), Canada’s only Metis self-govenernment. The Metis Settlements General Council is the legislator of the Federation of Metis Settlements. MSGC is the second largest land owner in the Province of Alberta. The Great Sioux Reservation was the original area encompassing what are today the various Sioux Indian reservations in South Dakota and Nebraska. The Numbered Treaties are a series of eleven treaties signed between the First Nations, one of three groups of indigenous peoples in Canada, and the reigning monarch of Canada from 1871 to 1921. These agreements were created to allow the Government of Canada to pursue settlement and resource extraction in the affected regions, which include modern-day Alberta, British Columbia, Manitoba, Ontario, Saskatchewan, and the Northwest Territories. These treaties expanded the Dominion of Canada with large tracts of land in exchange for promises made to the indigenous people of the area. These terms were dependent on individual negotiations and so specific terms differed with each treaty. St Catharines Milling and Lumber Co v R was the leading case on Aboriginal title in Canada for more than 80 years. The Judicial Committee of the Privy Council, affirming a ruling by the Supreme Court of Canada, held that Aboriginal title over land was allowed only at the Crown's pleasure, and could be taken away at any time. This case, involving Ojibway Treaty No. 3 which had never been previously litigated before any court, is a leading decision in Canada on the differences between the division of legislative powers and property rights under the Constitution of Canada. Strongfield is a small village in the centre of the province of Saskatchewan, Canada. It lies about 100 km south of Saskatoon, Saskatchewan on Highway #19 between its sister communities of Hawarden and Loreburn. The Natural Resources Acts were a series of Acts passed by the Parliament of Canada and the provinces of Alberta, British Columbia, Manitoba and Saskatchewan in 1930 to transfer control over crown lands and natural resources within these provinces from the federal government to the provincial governments. Alberta, Manitoba and Saskatchewan had not been given control over their natural resources when they entered Confederation, unlike the other Canadian provinces. British Columbia had surrendered certain portions of its natural resources and Crown lands to the federal government, the Railway Belt and the Peace River Block, when it entered Confederation in 1871, as part of the agreement for the building of the transcontinental railway.